People often don’t realize that appointment setting is one of the most essential components of a lead generation program for boosting The Global Associates Sales Lead Generation in India. 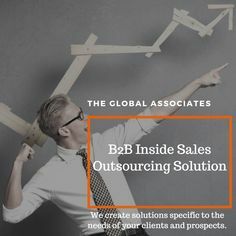 It gives you an opportunity to come face to face with those top executives that is absolutely essential to make your sales lead generation in India effort successful. One must remember though that it doesn’t guarantee a qualified opportunity; but It gives you a chance to judge if there really is an opportunity for you. One tries to ascertain if an opportunity really exists in their effort to maximize sales lead generation in India. For this, two basic components- pain and motivation- must exist. Your research tells you about the presence of “pain” while a scheduled meeting allows you to judge a prospect’s “motivation”. You must possess some basic appointment setting skills to be more effective and result oriented in your approach. Some of these skills are discussed below. It’s virtually impossible to run an efficient appointment setting campaign without possessing a carefully compiled, error-free, fully verified contact list. It’s necessary to give you an easy access to your target audience. If you are passive or lazy about your approach, you can very well forget about boosting sales lead generation in India successfully. You must tirelessly keep dialing numbers and trying to reach the decision makers, only this energetic approach will enable you to get the desired appointments. The human factor is a key component in appointment setting. Your salespersons need to possess good communication skills; sounding natural and knowledgeable, and not scripted or unprepared, robotic or animated. They should never use an over aggressive approach but present themselves as problem solvers.